Day 7 was just another ordinary day for the Marina Schwan team. The time spent alone yesterday provided some of the inspiration for today. Elements of yesterday's blouse like the raglan sleeves are reflected in day 7’s design. Today was all about the blouse, there was a focused atmosphere and a routine to today. 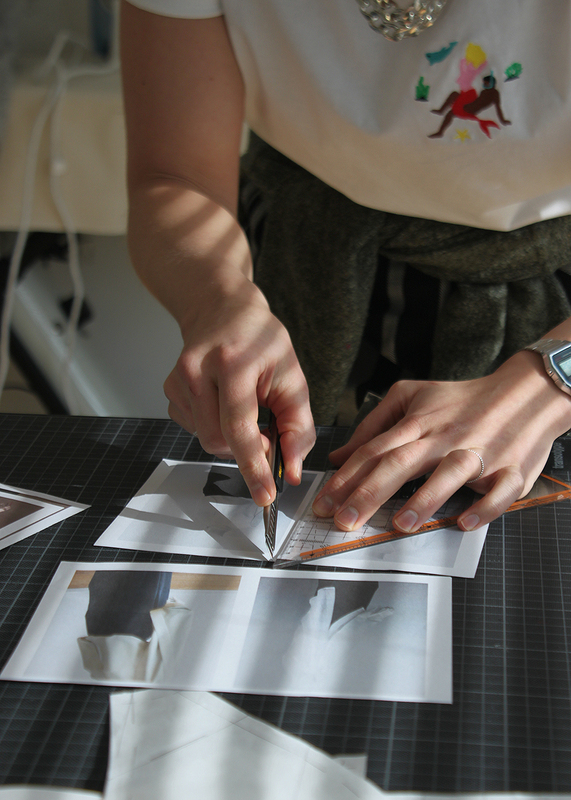 The team worked together with a confident ease, everyone now familiar the the tempo of 30days / 30designs. Due to Marina’s organisation yesterday today ran smoothly. Day 7’s blouse started with a sketch, however this sketch was only to showed a few key details. These details were executed and place on the dummy, from there the design team layered and draped allowing the silhouette of the blouse to build up in a natural way. Designing like this allowed day 7’s blouse to have some clean clear details, but to be balanced out with a voluminous silhouette. Today is also the first day the design team fully played with layering. 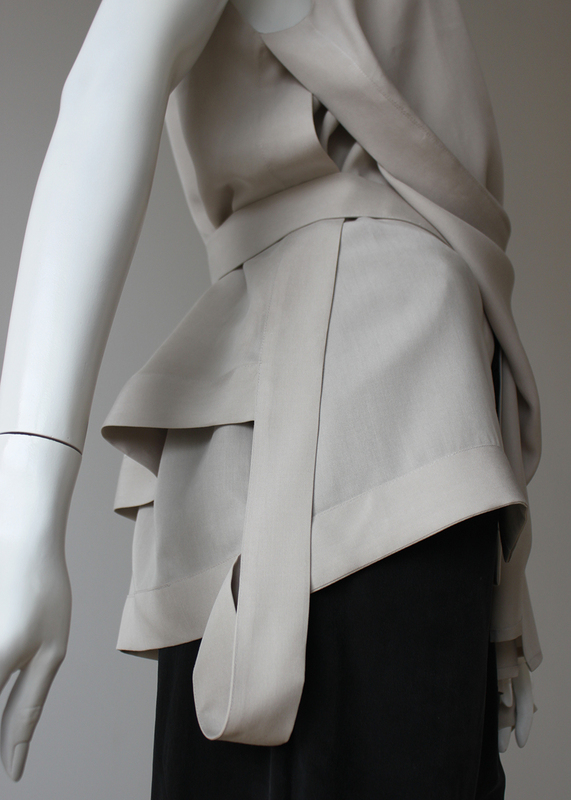 Marina intended to create natural light movement, alongside a depth and complexity in this blouse. Today was all about naturally balancing out the blouse by freeing up the design process and adding to the blouse once it was on the dummy. This created a combination of a traditional closed clean blouse with a stand up collar and a contemporary blouse with volume, in both its silhouette and hems.